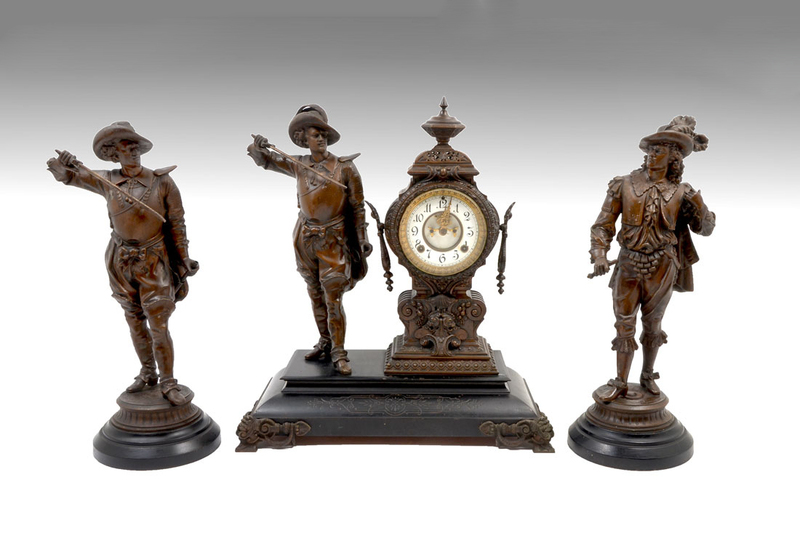 ANSONIA FIGURAL MUSKETEERS CLOCK GARNITURE SET: Mantle clock with spelter figural musketeer holding sword, Victorian urn form case with drop handles, porcelain dial with open escapement, Roman numerals. Slate base on 4 feet. 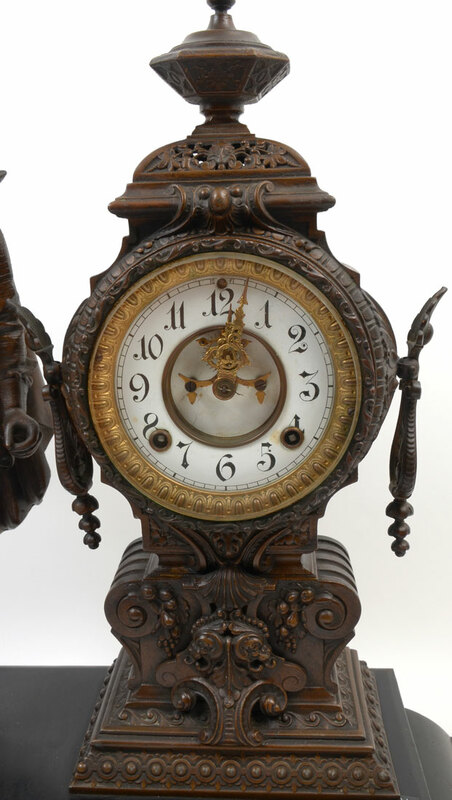 Overall 21 3/4'' h. x 19 1/4'' x 18 1/2''. 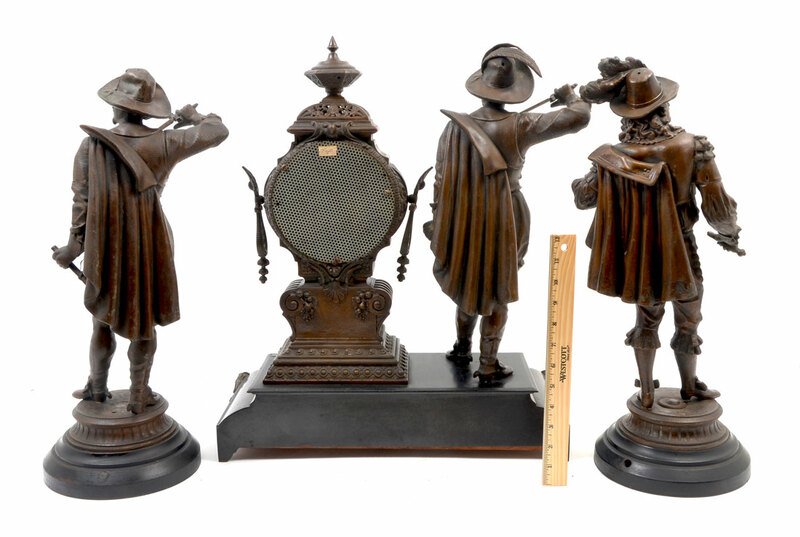 Sold with 2 other spelter musketeer garniture figures, tallest 20'' h.
CONDITION: One figure with broken sword, 2 of the figures are the same with the feather is missing on one hat, and the other does not have its scabbard, hairlines to dial, currently running however not guaranteed to continue or keep accurate time.